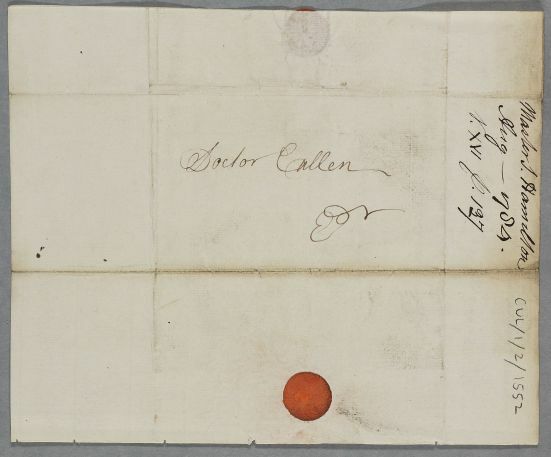 Letter from George McCallum, concerning the case of 'our little patient' (Master J. Hamilton). 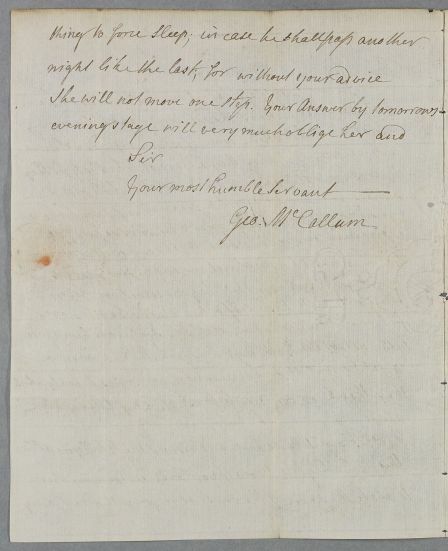 Summary Letter from George McCallum, concerning the case of 'our little patient' (Master J. Hamilton). Case of 'little John Hamilton', also known familiarly as Master ' Jackie' or 'Jackey', the infant son of John Hamilton-Dundas of Westburn. 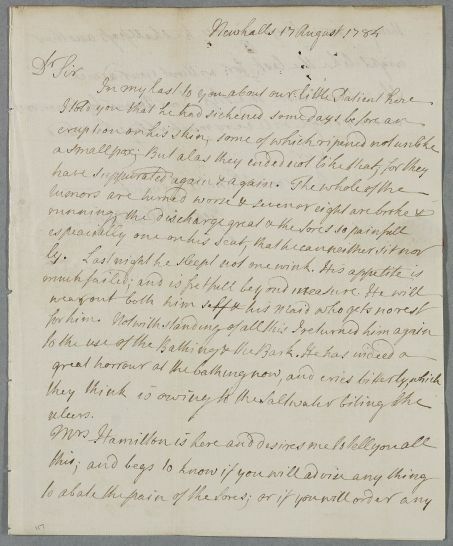 The boy suffers from 'eruptions' or 'tumours' resembling smallpox, which recur on his feet.